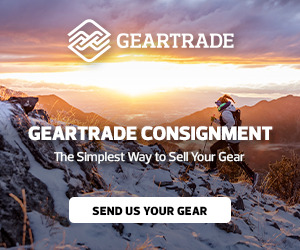 I know we've had a number of threads about how difficult is it to find plus-sized ski gear: how this is a segment of the market that gear manufacturers seem to ignore. Well, there's a big article in OutsideOnline about this now. Go here. I can’t scream this from the rafters enough. I am thankful for Columbia’s more generous sizing but they’re not the most technical pants I could have, so I often overheat and sweat buckets on the mountain causing migraines from dehydration the day after skiing. I’ve wanted shell gear to layer for 2-3 years now and I’m trying to slim down but I should be able to buy gear without having to cross over to the Men’s section. I’ve complained so much to REI about their “opt outside” campaign isn’t very inclusive if I can’t find gear in their store to opt outside in at a size 10/12... and I shop at their HQ in Seattle too. Grrr.... topic really fires me up, glad it’s getting some attention. AMEN! This is so true! The plus sized gear that exists in the marketplace is very generic, and honestly, I think is somewhat dated before it even comes out. As a size 14/16, I struggle so much to find ski gear. Black pants are a given - there are few, if any options. I have all but given up trying to be selective when it comes to color. If a store stocks something in my size, they might have one style only, maybe two. And with a full bust, even in the largest size, if it fits me everywhere else, the chest is uncomfortably tight. All of this. My ski pants are Columbia and on some days their design combined with my exertion makes me so hot that my knees get sweaty. My knees. I do have shell pants, from the men's department at REI because nothing on the women's side would fit, but the ones that fit my waist well enough that they don't fall down are too tight in the hips to layer much under them. I just shared this on Twitter, my FB page, and on the pages of REI, ArcTeryx, and Patagonia. I should post it on Columbia, etc for leading the way. It's maddening. As I get older and see where my body lands post menopause, I've gained weight and now can't fit into XL sizes anymore. Also, brands that had roomier cuts have actually made them trimmer. I have an old Partgonia Nano Puff that still fits fine. I can't even zip the new versions. The new ArcTeryx Beta jacket is just a smidge trimmer, making it much harder to layer under. It makes me insane. Anyone who says we should just lose weight should try eating as little as I would need to eat to be really thin. I know because I've done it before. I can't live like that. I'm not saying I should not try to drop some weight, but I'll never be as light as my BMI chart says I should be. Yes - I think there's two problems with technical gear. It's not just the unavailability of larger sizes, but also the fact that sizes from outdoor clothiers seem to have gotten smaller over the years. It's strange because it runs counter to what has happened to clothing industry in North America. With many conventional clothing manufacturers, standard sizes seem to have gotten roomier. There are definitely companies I was an XL in a few years ago, and now find myself buying Ls. But the opposite is true of technical clothing. I have a jacket from one company from a few years ago that was an XL. I can't even fit into their 2XL nowadays (depends on the cut - there are some 2XL jackets I can wear), but the old XL is roomy. That also seems to me to be very strange. My DD is a 12 year old 5'5" athletic girl with wider shoulders and a muscular back. She is healthy and not overweight at all. And her winter jackets are solidly women's M, or sometimes even L. Over the past 10 years, I've swung back and forth between a size 20 and a size 12 - and I can tell you that, even when you're a 12 or 14, the pickings are slim. I've basically largely stuck only to plus size manufacturers or extended sizing through all of these changes. I was reading the comments on Outside Magazine's facebook post about the plus size article, and some of the comments were distressing. A number of posters were saying that outdoor clothiers have done studies on the market for plus size gear, and that the market for plus size technical gear is not big enough for the companies to be profitable. Basically, they were saying that larger people tend not to be active, so there isn't enough demand to manufacture plus size gear. And I find this really hard to believe. If anyone has looked at Columbia's extended size category on their website - they're basically sold out of, for example, snow pants, at the beginning of the season. It's basically impossible to find snowpants in extended sizes after December. Does anyone know if any of these market studies have actually been done? Is it actually unprofitable for manufacturers to extend their available sizes? Certainly some have expanded on the lower end of the size range - I see more XSs and XXSs than I have before, which is great. It seems obvious to me that the other side of the size range would be profitable too. My name is Sabrina, and I love the Canadian Rockies! I ski a 2017 Nordica Santa Ana (169) all the time. YES and AMEN!!! I love my Columbia gear but want to buy the cute prints! I was so excited when I was able to find cute workout gear at JCPenney. This is such an absurd problem. I think that the manufacturers who refuse to make bigger sizes like to keep their petite-skier-athlete image (you know, the image that we see in all the ads). I'm between a 10 and a 12, wearing a large in most ski gear. But there are brands that just won't fit. I don't know what studies are done about the market for plus-sized gear, but I think there's an element of self-fulfilling prophesy. If your company only makes plus-sized gear in limited colours and lacking in the technical features that consumers want, it won't sell. It's silly to then blame the plus-sized consumer for not buying a product that doesn't meet their needs, or claim that the consumer doesn't exist. If gear in certain size ranges doesn't sell, the size may not be the primary issue, and just looking at sales numbers may mislead companies about the true market for a better product. From other athletic clothes/brands that I buy, there's a huge over-representation of smaller sizes on clearance. If you're an XS or a S, you're much more likely to pick up end of season deals, but good luck finding a L or XL left. That suggests that the lack of a market for larger sizes is a myth, but one that the retail industry loves to perpetuate. Clothing sizing in general just makes me crazy. there is absolutely no rhyme or reason to it. I wish womens pants were sized like mens...give me a waist measurement and a length and I can buy on line or walk into a store and not have to try on everything. But no....8, 10, 12 means different things to different manufacturers. And as Albertan ski girl said the sizes have gotten totally changed to make us all think we are thinner than we are. I have a friend who jokes that from her 30's to her 60's she gained 40 pounds...and never changed her clothing size! the last time I seriously lost weight...got down to 130 lbs @ 5'4', so not skinny by any means, I was in a size 4!!!! Of course being the pack rat that I am, I had some jeans from probably 20 years before that, that I pulled out, just to see if I could fit into them, and I did! they were a size 12. Crazy making. And how about size Zero, and Double Zero...wtf? I am a plus size and petite (5' 2") and shaped like a linebacker. I love being outside and being active. I would much rather be outside than in a gym. Every job I have had I managed to weasel my way into working outdoors. I have worn ill-fitting or men's clothing for too many years including ski boots, socks, work clothes and so on. I wore a pair of Dale custom boots for 12 yrs - well past when I should have replaced them. I thought I would have to get another pair or give up skiing but lo and behold - boot manufacturers and designers realized women have calf muscles so I can have boots that fit - not sort of kind of fit as long I use extender straps and so on but really fit. I think it is bull about there not being a market for plus active wear - I also struggle to find hiking and biking gear. I have had clerks tell me to go to the men's department or they don't carry sizes for "your kind". I was in a Columbia Outlet in NH a few weeks ago and I spoke w/ the manager about plus size clothing. According to her, the plus clothes flew out the door as soon as they got them so there is a market. Also since it is so hard to find plus size gear, I tend to buy more than 1 piece so I have "spare" - maybe a jacket in 2 colors or a black pair and a white pair of pants so I will spend money more in a store not just because the clothes I need cost more but because I need to "hoard" them. I'm sure other women do the same. Also, manufacturers need to get away from the "wear dark, look thin" approach - I want colors, lots of colors, patterns. I am so tired of being relegated to white, black or red or some combination thereof. Can I complain about socks, too? I would love wide calf women's ski socks. I would be at 6 pairs right off the bat. My foot is a women's 8 but I have to wear a large or XL men's to go over my calves. My boot fitter told me to boil the foot of my socks to shrink them which worked pretty well but I still would like women's socks. Sorry for long rambling rant. I have been "plus-size" all my life and while I have not let it slow me down, I would like the appropriate clothes for my various activities instead of cobbling outfits together or buying several of the same items in case I can't find the item again. I do work on losing weight, everyday is a struggle and some days are better than others. I know activity is a huge part of getting in shape/losing weight and I prefer to do it outdoors with appropriate clothing and gear. Thank you those who read this, I know it long. Friends - I've had enough. I'M GOING TO MAKE SKI PANTS THAT FIT US! A little backstory: I'm a size 14/16 lover of all things hiking, skiing, climbing, and more. About five years ago, I got so fed up with trying to buy jeans that fit/would last, that I started sewing. A few weeks later, I signed up for my first ski lesson, and my problem with jeans turned into my problem with ski pants. About a year and a half later, I started taking patternmaking and design classes, so that I could make my own clothes that actually fit me to my measurements. I'm finishing up my program this year (it's a 30-month program), and my goal for 2019 is to make my own ski pants. The longer-term goal is to start a company to - FINALLY - make snow pants for the rest of us! YES!! I‘m so in how ever I can help! Interestingly enough I’m starting a 2 year MBA program next week, and one of our final projects is writing a business plan and pitching it to “investors” (faculty) for our final capstone. I think the business plan is a group work but I would be so damn passionate about this topic that I just spend the last 15 minutes ranting to my BF why it doesn’t need to be a chicken/egg problem. Absof***inglutely! What do you need? Yes! I would be interested in skiing, hiking and biking clothes and ski socks for large calved women. In wonderful colors and patterns (not just black, white and/or animal print). I would suggest you define the term "plus size". The term "plus or extended size" has a huge range. You say you are a 14/16 - too me that is not plus size. On a good day I am a 20W. I have hips, thighs and calves and I am short - think weeble or linebacker shaped. I would give anything to be a 14/16. As stated above - what do you need? IMHO Plus size means you can't find things that fit in the sizes normally stocked in the usual venues. For the outdoor industry the upper end of sizes are much smaller than for general apparel. For me it's shape more than size. While I'm sure you think your problems would be solved by being a 14/16, it is not so. You still wouldn't find anything that fits. I say this as someone who's run from a 12-18W. Even as a curvy 12, nothing fits my behind properly. We are all screwed. Don't be confused. @Obrules15 - I am sorry if I sounded harsh, I often do not articulate my thoughts very well and come across as harsh and/or mean and that was not my intent. I do not think my problems will be solved if I was a 14/16 but it would certainly expand the options I have now. I guess I am not a "plus size" but a "plus plus size" and I have very limited options as a "plus plus size". If the proposal is going to focus on women in the 12 - 18 range as plus/extended size, then I am left out but if it is also going to include the "W" sizes then I may have a chance. This fires me up, too! I’m tall and last year was a solid size 8. I still couldn’t fit into some larges. Ugh!! I got Burton board pants and they are great. I’m more of a 10 this year and the large is still fine. They are very breathable. An xl would fit a 12 fine. Still, I hate thinking of a 12 as a plus size. I agree. Why can they all be just numbers. Why do women have "plus" sizes and men have just sizes. Even at the big & tall store, the sizes are just numbers unless they say "L" or "T" for tall or long. Only women are called "plus" -- if we started calling men with more than a 34" waist "husky" or "big" there would be a riot. LOL.